So network speeds are getting faster with time. Firstly we have 2G networks, after that 3G and then 4G. Speed of the networks increase with each generation. But now it's time for 5G networks which will come into enforcement by next year. Qualcomm is working on snapdragon X50 modems which will provide 5G connectivity in the smartphones. Various OEM's have signed their deal with Qualcomm which will provide snapdragon X50 modems in their phones. 18 OEM's have signed this deal with Qualcomm including Xiaomi, Sony, HTC, LG, Oppo, Vivo, HMD Global, Asus, Fujitsu and many more. Samsung struck a separate extended partnership last week. 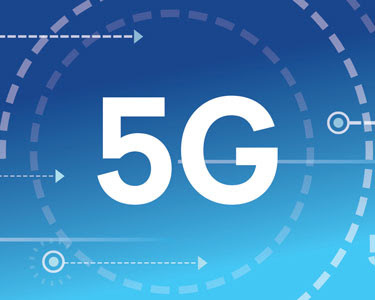 These companies are planning to provide 5G connectivity in their Smartphones by 2019 which will take the internet speeds to a next level. Also Qualcomm will try the 5G network speeds with all big network carriers such as Verizon, AT&T, Vodafone, China Mobile, Orange and SK Telecom. Company will check the speeds and figure out problems in these trials and further it will optimize to make it better. The only big company which is missing from this deal is Apple. Qualcomm at MWC 2018 will present a live demonstration of it's 5G connectivity. There internet will touch speeds of some Gigabytes.